We are engaged in providing Geranium Oil to the clients. The Geranium Oil is mostly colorless, but can have a slight light green color to it. Geranium Oil has a watery viscosity. The leaves and stalks are used for extraction, and the oil is obtained through steam distillation. 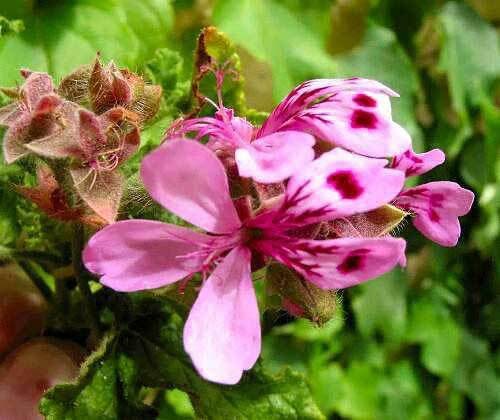 Geranium Oil can be used to help in the treatment of acne, bruises, burns, cuts, dermatitis, eczema, hemorrhoids, lice, as a mosquito repellant, ringworm, ulcers, breast engorgement, edema, poor circulation, sore throat, tonsillitis, PMS, menopausal problems, stress and neuralgia. The Geranium Oil is composed of various chemical constituents and includes a-pinene, myrcene, limonene, menthone, linalool, geranyl acetate, citronellol, geraniol and geranyl butyrate.